Living in the South, we take our portraits very seriously. Many families have works they have passed down through generations. Now more than ever, there are soooo many options. Let's explore new and fresh ways to preserve memories for now and future generations. In my opinion, the very best portraits not only look like the subject, but feel like them as well. This is probably why I lean toward more impressionistic renderings...let's look at the different mediums ... Oil, Acrylic, Water Color, Silhouette, Pastel and Charcoal just to name a few. Most commonly, subjects are children or family members comemorating a special event but, they can also be beloved animals or a treasured homestead...it really is about a work of art in which the subject is something dear to the person commissioning the piece. The following are several different types of medium. There is definitely something for everyone. Oil paintings are created using paints with pigments with a medium of drying oil as the binder. While they can be painted on a variety of surfaces, this durable technique is generally painted on canvas. Oil allows the artist to paint in a variety of styles and play with light and color in a way that other mediums are limited. The following are oil portraits by Michael Taylor. Commissioned through Portraits South. Below is an oil portrait by Michigan artist Weatherly Stroh represented by Bozzuto Greene Art. Acrylic paint is a fast-drying medium made of pigment suspended in acrylic polymer emulsion. Unlike oil, acrylic paint is water-soluble and drys within an hour. The acrylic portraits below are by Kimberly Kelly Santini. She is a Michigan based artist that is represented by Bozzuto Greene Art. She was the 2015 Kentucky derby official artist. She does a lot horses but will also paint any other kind of animal. She can work directly from online images you send her and usually does acrylic on board. A method generally applied to paper, where the paints are made of pigments suspended in a water-based solution. This medium tends to give the subject a soft, translucent almost luminous quality. It takes a skilled hand to create detail in this impressionistic style of portraiture. These beautiful, watercolor portraits, depicting a variety of subjects were created by Kathryn Gage. 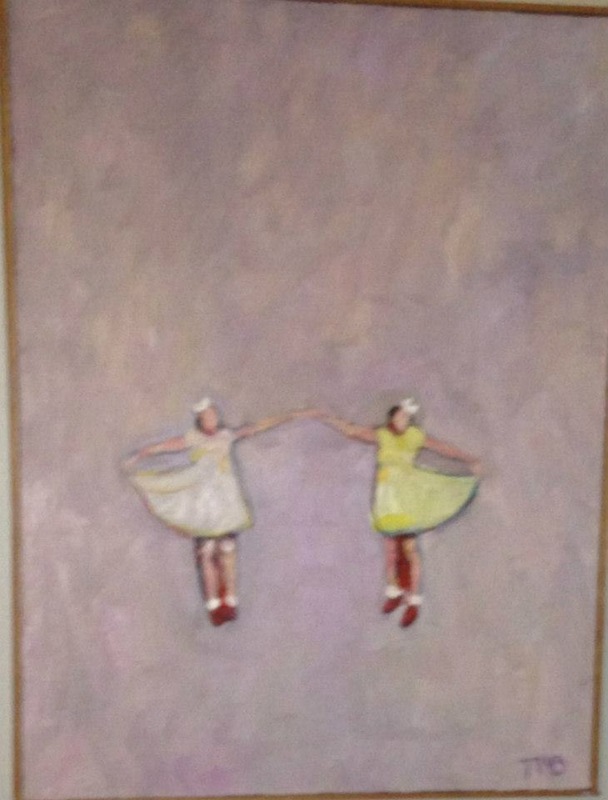 Go to kathryngageart.com for contact information and more of her work. Works in artists' charcoal, which is a dry medium, are also usually produced on paper. Charcoal portraits are graphic, dramatic and at home in any setting. The following, titled The Blue Mountie, is charcoal portrait by Sharon Dok. Pastels are created using a stick of pure powdered pigment and a binder. This dry medium has been used for centuries and can achieve natural coloring much like oil. It is a tried and true medium for portraits, especially ones of children. In my opinion, at least across the south, oil and pastel are the most timeless and popular mediums for portraits of children. Pastels allow the artist to portray the youthful glow of childhood as masterfully displayed in the three portraits below by Maryland artist Betsy Stone Kirk. The traditional art of silhouette portraiture has been around for centuries. The subjects profile is outlined and filled in with a color (traditionally black). They can also be cut out of paper (also traditionally black). Below is my twist silhouette portraiture. I did these back in 2006. Sorry for the image quality. I hade them professionally framed and decided not to remove the glass for photography. This is a fun easy project. Stay tuned for a "how to" post on creating your own silhouettes. Below is a beautiful hand cut silhouette by Silhouettes by Elle. This is a fun and economical portrait. It is truly amazing how the artist is able to capture the subject in a simple cut out. Let's think out-of-the box for a moment and look at a couple of non - traditional methods of portraiture. Susan Graeber, a Baltimore artist, does some really interesting abstract portraits. They are called gouaches. Which is a method of painting that uses pigments ground in water and thickened with a gluelike substance. They have a very textured surface. She prefers to make them abstract, hence the perspective from behind. They are very different looking. Below is an example of her work. She is also represented by Bozutto Greene Art. Trudy Babchak is another artist that is represented by Bozzuto Greene Art. These are a little more out there. Below is a very abstract family portrait she did for a friend of mine many years ago. It's very abstract, but I love it because she adds little touches like the white bows that her girls used to constantly wear. I hope this post has been informative and showed you that there is something out there for everyone in every style and budget. A custom portrait is a family heirloom that will provide joy today and be passed down for generations to come. Surround yourself with things that brighten your day, evoke a memory and make you smile. That is what will make your house feel like home. Big thanks to Bozzuto Greene Art and Kathryn Gage Art for sharing your talent and beautiful artwork!